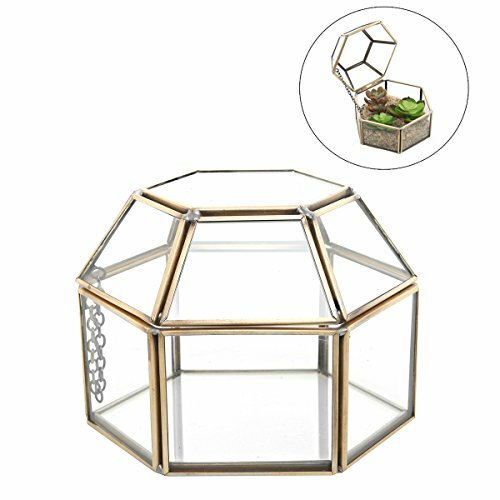 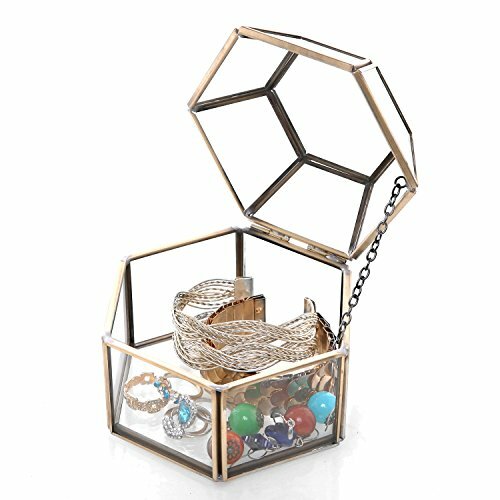 An astonishing and charming jewelry glass box, this unique and stunning product will definitely make a really good impression on everyone who sees it! 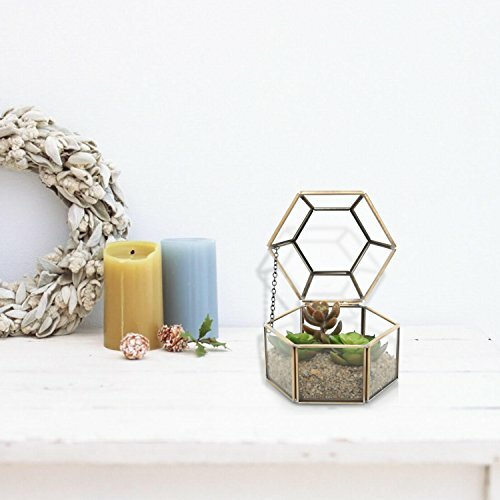 It is a true piece of smart and interesting design that will surely store your precious items of jewelry in a completely new and innovative manner! 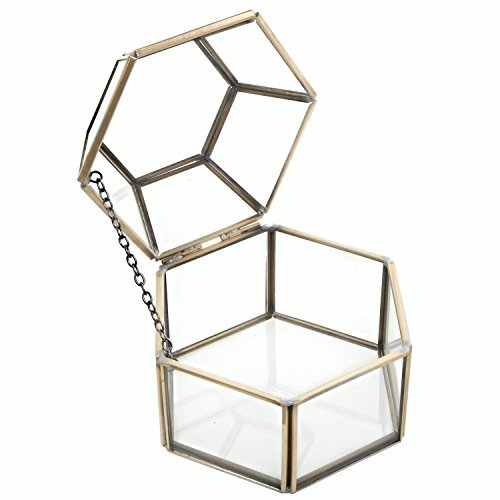 The product has been made out of superior and thick glass and it features a sturdy and resistant bronze metal frame. 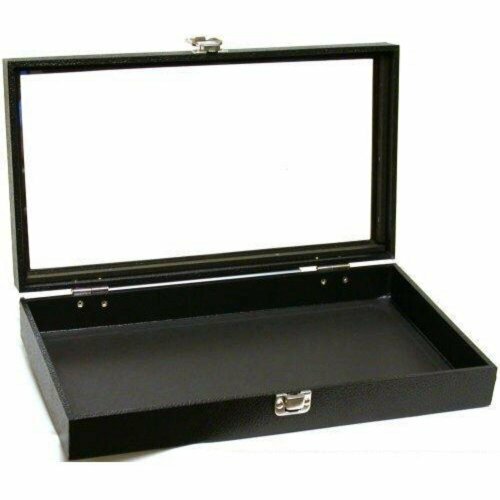 The top lid is well hinged and it is also mobile, thus allowing you easy access into the box. 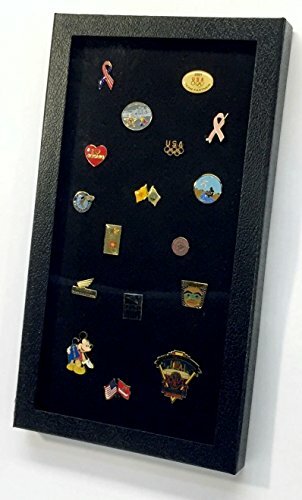 You can keep all kind of pieces of jewelry, trinkets and belongings in there and they will all be beautifully displayed to all of your visitors! 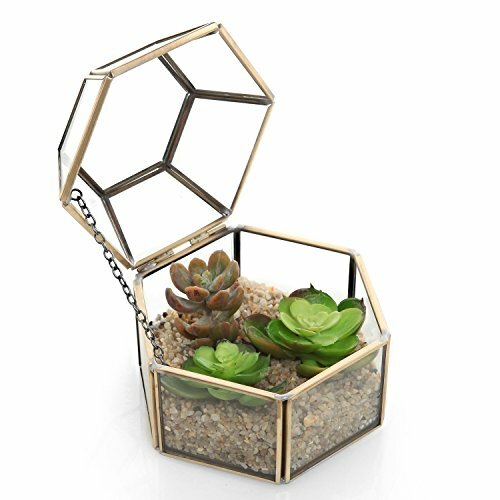 There is also a fine and silver chain that is attached to the top lid so that you don’t lose or misplace it. 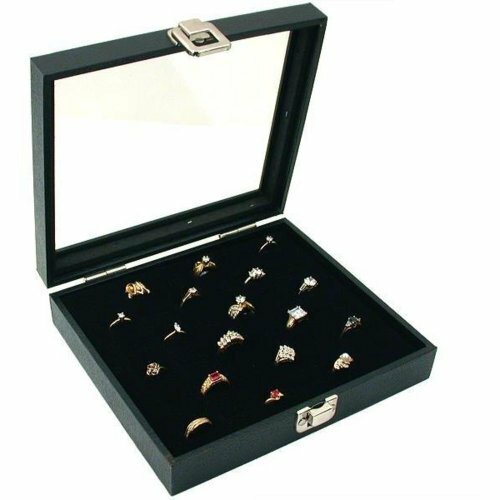 This astounding and one of a kind table top is perfect for your small items of jewelry, such as: rings, pairs if earrings, bracelets, brooches and so on and so forth! 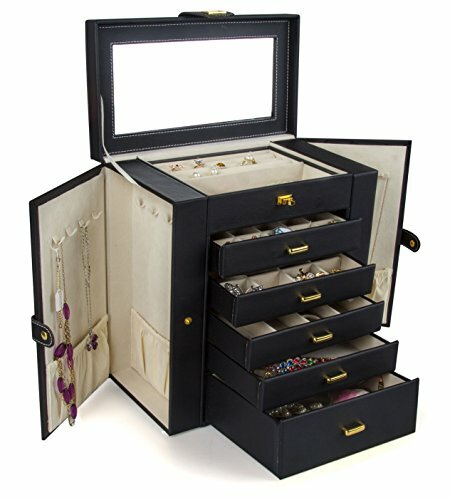 It is definitely going to change the way you keep your jewelry collection and it will also save up a lot of valuable space around the house! 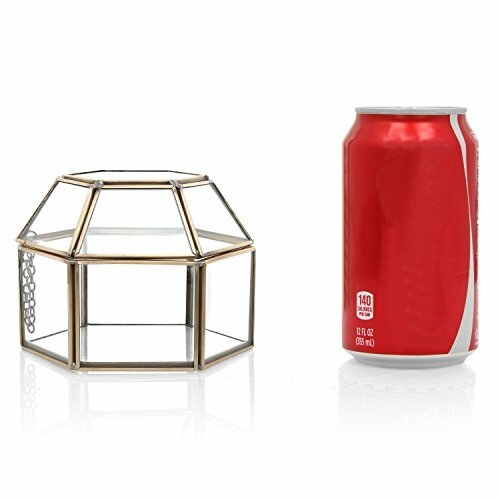 This is the ideal gift for anyone with a penchant for the unconventional and also a passion for jewelry! 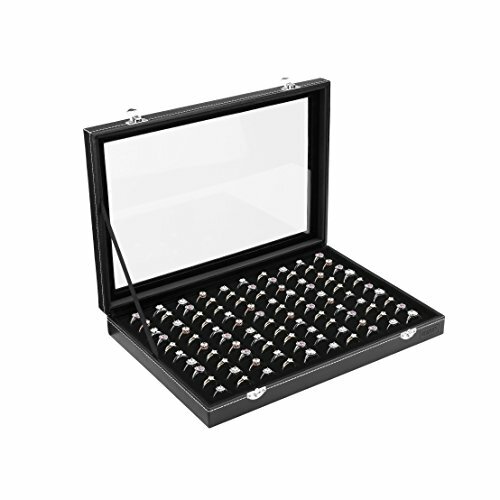 Get this product at once and you will undoubtedly be satisfied by it! 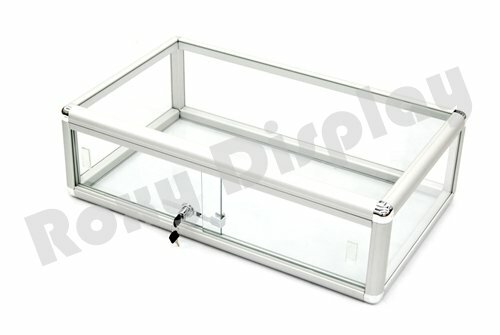 The dimensions of this product are the following: 4.75 W X 3.25 H X 4 D and its weight is 3.2 ounces.